1) Open your web browser, for example Internet Explorer or Firefox. 2) In the address bar (where the text "http://www.google.com" is located in the image above) type http://192.168.1.1 and press the enter key on your keyboard. 4) You have now entered the settings for the router. 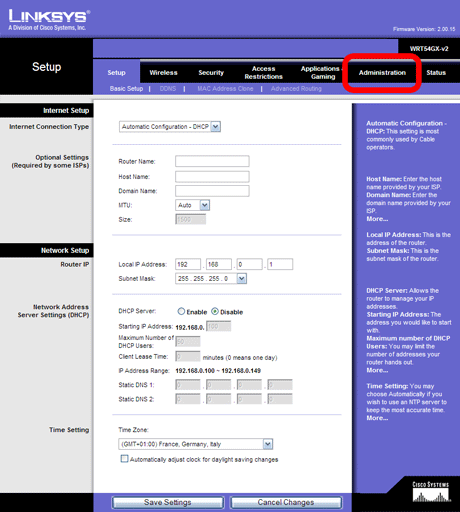 Click on "Administration" marked with red color in the image above. 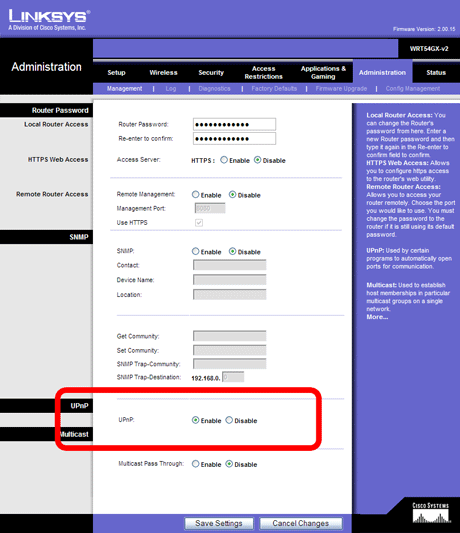 5) On the administration page you find the UPNP setting close to the bottom. Set the option to "enable" and then click the button "Save settings".